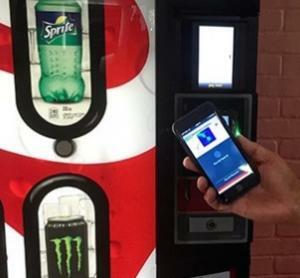 OTI Continues to Cut Costs and Position Itself for Growth, but Won’t Project When It Will Finally Turn Profit | NFC Times – Near Field Communication and all contactless technology. Israel-based contactless reader and NFC vendor OTI has cut costs and positioned itself for growth as it pursues its first yearly profit since its founding, in 1990. OTI’s recent second quarter earnings report shows progress toward that goal, a year after the Israel-based vendor brought in CEO Shlomi Cohen, a former sales executive at tech companies, to bolster the company’s sagging share price. But the share price only increased by about 17% over the past year, to $1.20 and is still down by around 30% over the past three years. OTI reported last week that it decreased operating expenses by 30% in the second quarter to $3.2 million, the fourth consecutive quarterly decrease, thanks to past job cuts and other restructuring and cost-cutting. That helped the company achieve a gross margin for Q2 of 52.2%, up from a year ago. But revenue fell by 6% to just short of $5.1 million from the same period in 2015, though it was ahead of analysts’ projections.